When storing or using an alcohol-based hand sanitizer, fire hazard potential should be considered and steps should be taken to minimize risks. When stored properly and used as directed, the likelihood of experiencing a fire associated with hand sanitizer is minimal. However, as with any flammable liquid, it is necessary to exercise caution with hand sanitizer. Hand sanitizer is a popular hygiene product that provides important health benefits in terms of preventing the spread of germs and harmful bacteria. Hand sanitizer was originally developed for use in healthcare environments, but is now widely used in many settings. Many people carry hand sanitizer with them at all times so they can keep their hands clean even when they don't have access to water. Most hand sanitizer products contain a high volume of alcohol, which is the reason for hand sanitizer fire hazard concerns. Alcohol-based hand sanitizers are classified as Class I Flammable Liquid substances, which means they have a flash point of less than 100 degrees Fahrenheit. Hand sanitizer vapors can be flammable. In the event that hand sanitizer combusts, carbon monoxide and carbon dioxide can form. 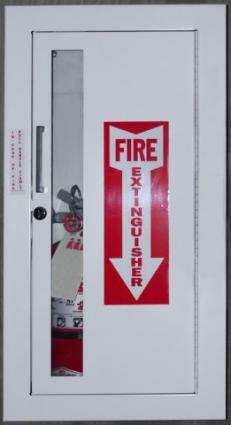 Personnel involved in extinguishing hand sanitizer fires should wear respiratory protection. The Occupational Health and Safety Administration (OSHA) has specific guidelines regarding the storage and use of flammable liquids, including hand sanitizer. Observing all applicable OSHA regulations is an important step to reduce the risk of experiencing a fire related to the use of alcohol-based hand sanitizers. OSHA requires employers who use alcohol-based hand sanitizers, and any other hazardous chemicals, to keep Material Safety Data Sheets regarding proper procedures for handling the substance. MSDS forms include specific guidelines and recommendations for save usage of hazardous chemicals, and can be obtained from the manufacturers of such products. The following documents are examples of hand sanitizer MSDS forms for specific brands of hand sanitizer. If alcohol-based hand sanitizer is spilled or otherwise released, all potential ignition sources must be immediately removed from the area to mitigate the possibility of a fire. Spilled hand sanitizer should be cleaned up with water immediately. Alcohol-based hand sanitizers should be stored away from all heat and ignition sources, including (but not limited to) sparks; open flames; any types of electrical outlets, switches or equipment; and extreme heat. Hand sanitizer products should not be allowed to come in contact with any type of oxidizing agent (such as acetyl chloride) or reducing agent. Children should not be allowed to use or access hand sanitizer unless properly supervised by an adult. Alcohol-based hand sanitizer products should be stored in secure locations that do not experience extremely hot temperatures. Hand sanitizer dispensers should not be located in corridors, exits, or open areas that lead to them. Fire concerns are not the only safety issues associated with hand sanitizer. When used as directed, hand sanitizer is considered to be safe. However, improper use of hand sanitizer poses safety risks for both children and adults. For example, ingestion of hand sanitizer can result in alcohol poisoning. There are non-alcohol-based hand sanitizers on the market. Such products are created with natural ingredients instead of alcohol, and are generally considered to be less effective than alcohol-based products when it comes to destroying germs and bacteria. There's also an MSDS for a non-alcohol based hand sanitizer manufactured by Celeste Industries. If you use hand sanitizer for personal use, do not use it for any purpose other than those for which it is intended and store the product properly. It is important to know the risks of any chemical that you keep in your home or office or carry on your person. Make yourself aware of the best ways to prevent problems and how to respond should an emergency occur. If your company uses hand sanitizer, you should familiarize yourself with the MSDS for the particular product in your workplace, and make sure that the safety guidelines are being followed at all times. Ensure that you and your co-workers understand the risks and dangers associated with hand sanitizer, and follow the recommended procedures if a problem develops. There are risks associated with using any type of chemical product, and those who choose to use such products must be responsible for observing fire safety measures. As long as fire hazard safety precautions are observed regarding how to store and use this product, the risks are minimal.